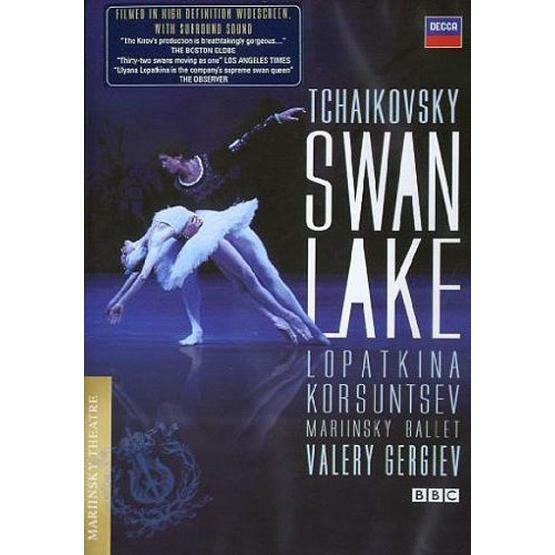 Rendition of Tchaikovsky's world-famous "Swan Lake" ballet filmed at the Mariinsky Theatre in St. Petersburg. Musical accompaniment provided under conduction of Valery Gergiev. Directed by Makhar Vaziev. Starring Ulyana Lopatkina and Danila Korsuntsev. TV system: NTSC.